Jimmy Doyle has faithfully served the membership of the club since 1998. 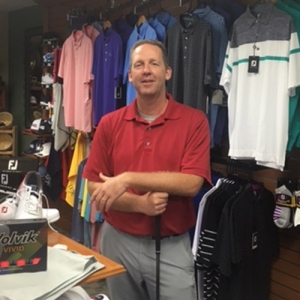 He continues to look for ways to provide the membership with opportunities to sample and test the latest and greatest equipment and merchandise in the golf shop. He is a competent and certified club fitter with Ping, Titleist and Callaway golf equipment. Though he loves to play and Manage the golf side of the facility, Jimmy’s true passion when it comes to the golf business is teaching. Jimmy comes from a family of educators and truly believes constant improvement for himself as a teacher, translates into improvement for his students. To this end continuing education in various PGA seminars and programs are a very important part of his activities. Jimmy’s ultimate goal is to create the best possible golf experience for each and every West Hills Member. 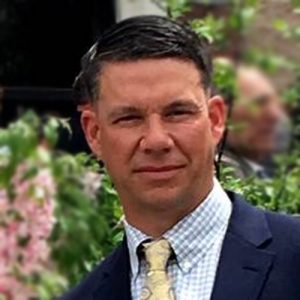 Prior to joining WHCC, Michael was the Senior Assistant Superintendent and Construction Project Manager at The Saint Andrew’s Golf Club in Hastings-on-Hudson, NY. Prior to Saint Andrews, Michael was the Project Manager / Irrigation Technician at Beekman Country Club where he was asked to rejoin the club five years later as the Senior Assistant Superintendent. Leading up to his fantastic career, Michael spent time in the military and received a formal education. Michael served in the United States Air Force and received an Honorable Discharge. He attended Airman Leadership School at The Community College of the Air Force. Thank you for your service Michael. He graduated Rutgers Professional Turf Management School in Brunswick, NJ. As for professional licenses, Michael is a Certified New York State Commercial Pesticide Applicator. He maintains memberships with the Golf Course Superintendents Association of America and the Metropolitan Golf Course Superintendent Association. On a personal note, Michael is originally from Beacon, NY, and he and his family live in Hopewell Junction, NY. He played competitive soccer in the Air Force, and currently plays in recreational softball leagues. Michael and his wife Marilyn have three children who all attend St. Martin de Porres School in Poughkeepsie, NY. Jack is their first born, 10 year old son who plays hockey, soccer and lacrosse. Next up is Brooke, their 8 year old daughter who dances competitively, plays soccer and is an avid horse back rider. Not to be overshadowed is their 3 year old, Kate who as of right now is a very supportive fan of her brother Jack and her sister Brooke! To round out the family they have a beautiful dog, Rex. Michael’s wife Marilyn has quite an impressive background, is very career and family oriented, and is extremely supportive of Michael’s career. Marilyn received her Doctorate in nursing from Northeastern University. She is a professor at Mount St. Mary College in Newburgh, where she teaches nursing. Marilyn was born and raised in Middletown NY, graduated from Middletown High School, and her Mom actually lives in Middletown in the home she grew up in. Michael and Marilyn love being involved with their careers, families and kid’s activities. Please join us in providing a warm welcome to the Lashlee family! Chef Marcos has been a professional chef in the Hudson Valley for six years. After completing his training at The Culinary Institute of America in 2010, Marcos went off to work on multiple projects in the Poconos as well as farm to table style restaurants in New Jersey. 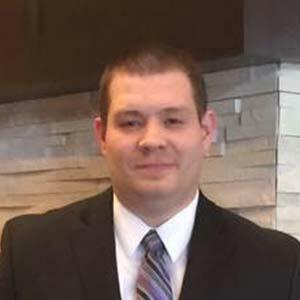 As Executive Chef at the West Hills Country Club he plans to implement what he’s learned by helping to create a unique experience to our members as well as our catered events. Raised in Goshen, New York, Jim began working in the Hospitality Industry at the age of 13. After years learning the ins and outs of Restaurants and Country Clubs, Jim attended SUNY New Paltz where he earned a Business Degree in Business Management and General Business. After graduating, Jim found the perfect fit at West Hills Country Club and was hired as Clubhouse Manager, where he has learned the intricacies of managing an upscale Country Club. Jim thoroughly enjoys the Club’s Membership and working with the great team at the Club on a daily basis to help make West Hills Country Club the Premier Country Club in the area. Shawell (Sho) Thomas has worked for Bonura Hospitality Group since 2009. Sho started at the Grandview in Poughkeepsie, NY. He then worked at Shadows on the Hudson, Dutchess Golf and Country Club, and the Grand Hotel. 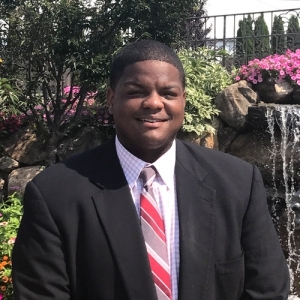 Shawell is now the Operations Manager at West Hills Country Club. Whether Shawell is assisting a wedding couple, touring a photographer, setting up a DJ, or plating a dinner for 400, he does it with style and finesse. When he puts on his tuxedo, his co-workers all know it’s “Sho”-Time! Calm and hospitable in all situations, a couple couldn’t be luckier than to have Shawell overseeing their special day ensuring their magical moments come true. Sho says that the best part about working at West hills Country Club is the relationships he developed with the members and the clients over time. 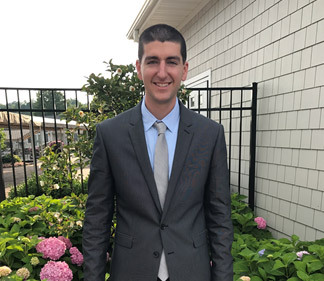 Taylor Checchia serves as the Director of Catering and Special Events at West Hills Country Club. She joined the West Hills Country Club team in October 2017 after being promoted from our sister property, Anthony’s Pier 9. Taylor worked at Pier 9 for over two and a half years. There she built up great client relationships, and an impeccable reputation. 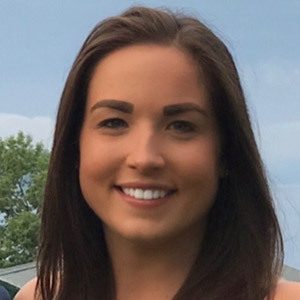 Prior to joining the Bonura Hospitality Group, Taylor studied Marketing, Communications, and Advertising at Western New England University in Springfield, Massachusetts, where she earned a Bachelor Degree. Growing up in New Paltz, it wasn’t long before she found her way back to the beautiful Hudson Valley. Many of her family members, friends, and clients will says she is obsessed with her job, but honestly she just loves what she does. Playing such a significant role in one of the best days of someone’s life is simply gratifying.